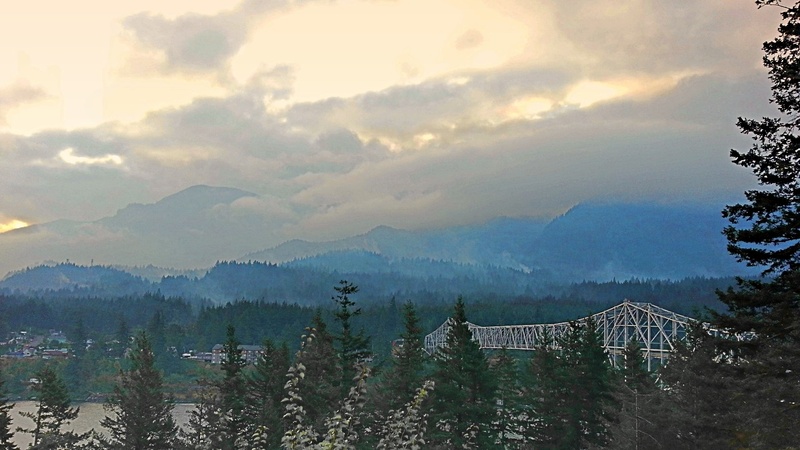 Smoke obscures the hills along the Columbia River. It was two years ago, that I featured Bridge of the Gods in this blog. At that time, we passed back and forth over the bridge a few times. The Columbia River Gorge was in flames thanks to a witless teenager who lit up a firework and tossed it into the bone dry forest. As a result the bridge was closed along with access to many of the attractions in the area such as Multnomah Falls. We crossed the river into Washington State near Portland and proceeded east along the north side of the river. 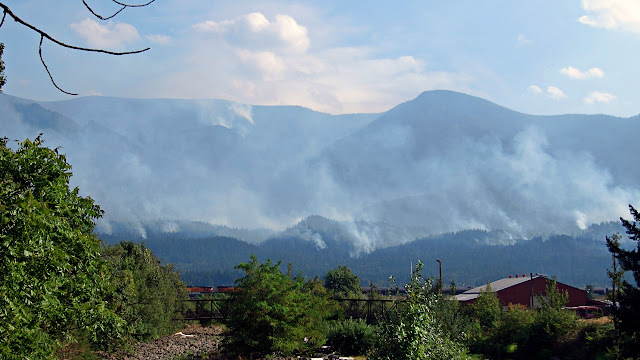 Across the river on the Oregon side a wall of smoke obscured the landscape.